Most venomous snakes evolved their venom to kill prey before it could run away. Scaring off potential predators was secondary. Cobras are different, however. Mixed with their prey-killing venoms they have peptides that purely serve to repel threats. New discoveries about how these defensive molecules evolved, and how those of different species relate, could help us produce better anti-venoms, and even lead to possible anti-cancer drugs. 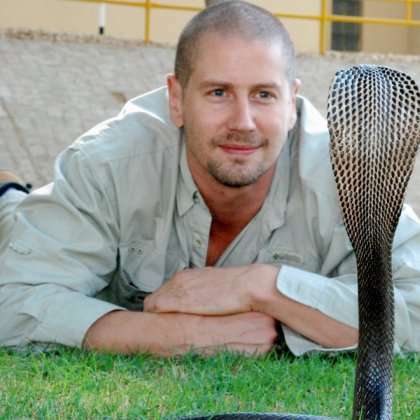 Dr Bryan Fry of the University of Queensland studied 29 species of cobras and their relatives. He found the cobra's defensive venoms evolved together with other features, such as the ability to spread their hoods to look larger, and warning markings. 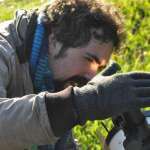 “For the longest time it was thought that only spitting cobras had these defensive toxins in high amounts in their venoms, however, we’ve shown that they are widespread in cobras,” Fry said in a statement. This makes sense, Fry explained to IFLScience, since there is no point evolving the capacity to spit if you don't have the payload to make it count. Instead, ancestral cobras evolved potent pain-inducing venoms, and three distinct groups of their descendants independently found a way to deliver it at a distance. Venomous spit cannot penetrate the skin, but if it reaches the eyes can cause extreme pain and blindness, a powerful deterrent to anything that might consider a cobra a potential meal. For predatory purposes snakes want venoms that will kill, or at least immobilize, prey as quickly as possible. Killing other predators isn't necessary, however, and since they are larger than prey can be difficult. Instead, defensive venoms need to cause as much pain as possible. Unfortunately, these toxins don't just hurt, they destroy tissue. If not treated, bite victims often lose the use of limbs or need amputations.